Just a small correction: it should be counts, not counters. For years, I have failed to see how a bunch of eggs became a coconut tree. Now I am lost in wonder as to how one of said coconuts is now an egg. It’s design concepts like this that make me really wish that I could have had Satoshi Tajiri as a childhood friend. They’re seeds that look like eggs. I remember this card ! That’s an interesting one, you would reduce your hand to 0, then Psychic Strat the opponent to 0. You would play this with Mesprit to neutralize the opponent’s Claydol. 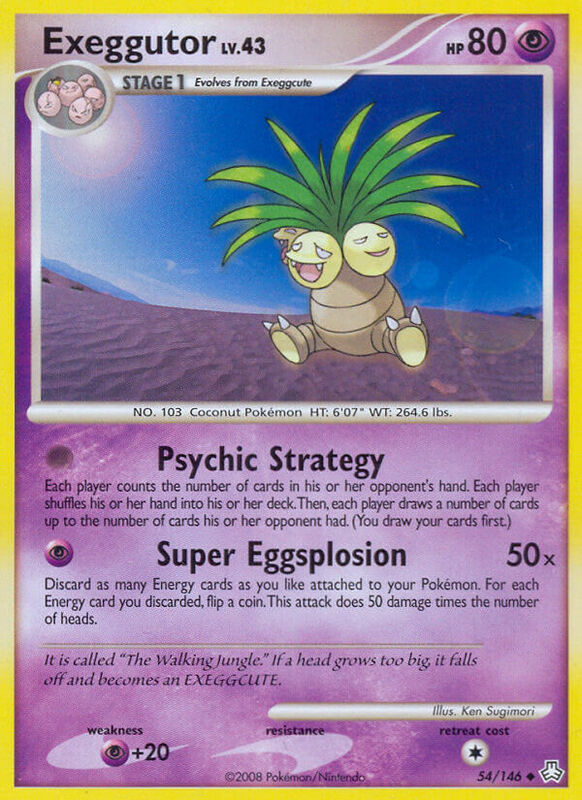 First Psychic Exeggutor since EX FireRed & LeafGreen.